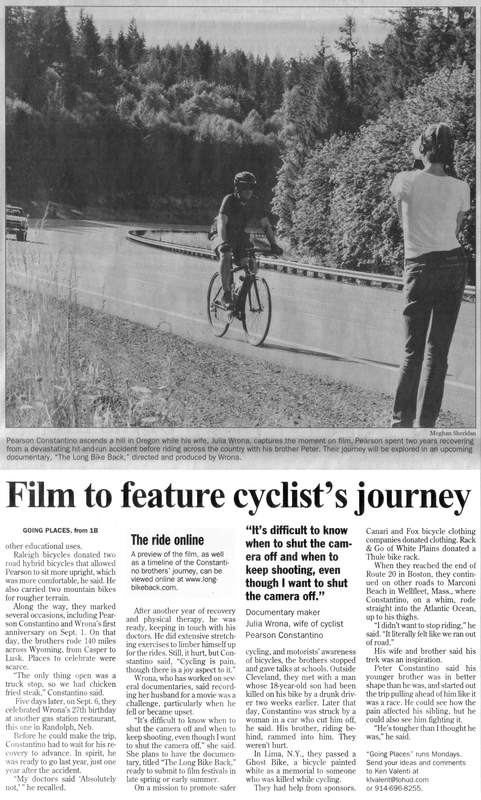 On Monday there was a great article written about THE LONG BIKE BACK in the Westchester Journal News. It was on the front page of the local news section and used a bunch of great pictures from the trip! The newspaper also made a short video that’s available on their website. The article is also available without photos online.